Comfortable dining chair in vintage look. The seat is brown PU leather and padded with dense foam. The legs are made of solid black lacquered oak. 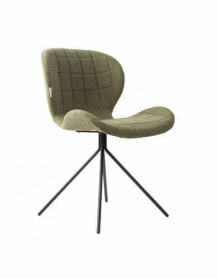 This chair is ideal for indoor retro style loft.